Knowing how to read guitar chord charts is a valuable and essential skill for any aspiring guitar player. In this article, you'll learn how to understand guitar chord charts. 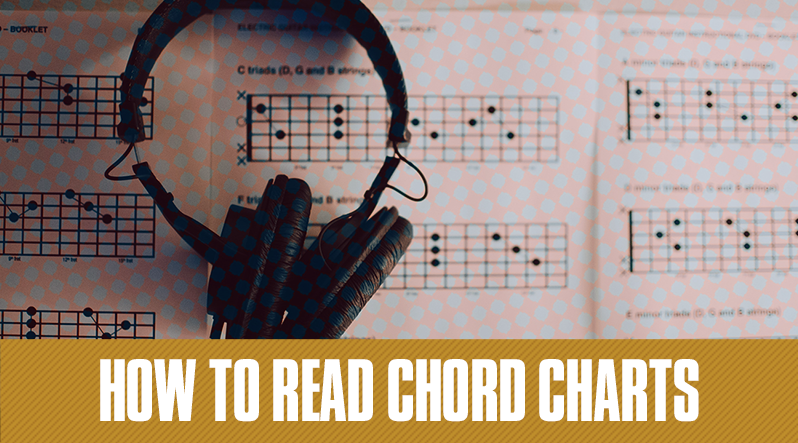 For the sake of this blog post, we’ll focus on our very own chord charts. They look like this. If you want to see all of our chord charts, click here. As you can see above, chord charts are nothing but numbers on a grid. They can be confusing if you’re not familiar with how to read them, but have no fear, they’re pretty simple! There are six vertical lines that run up and down the chart, these represent the six strings of a guitar. The line furthest to the left is the low E string, the bass string. As you go from left to right, the strings change from the lowest string, which is the low E string, all the way to the high E string, which is the right most line. Check out the image below for a visual. The “X” and the “0” at the top of each chart tells you whether that string in a chord is played. If there’s an X at the top of that string, that means you do not play that string for that particular chord. If there is a 0 at the top of the chart for a particular string, that means that string is played open. 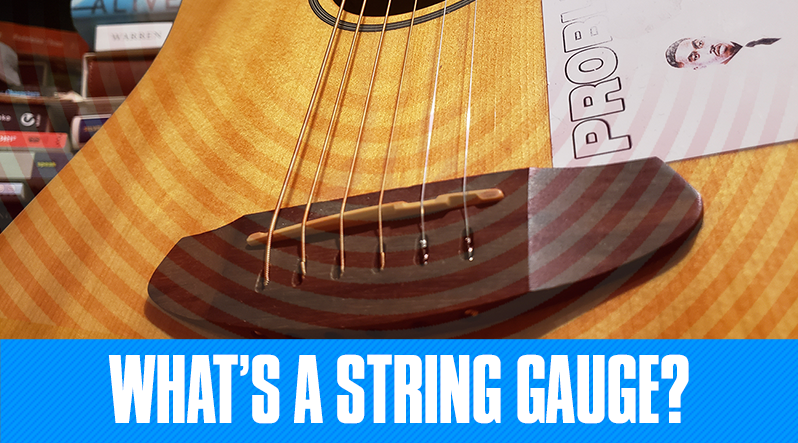 Playing an open string means you hit that string without holding down any of the frets. For example, in the chord above, the Low E string is not played, while the A string is played open. Now what do the numbers on the left hand side mean? These numbers tell you which frets the chord is being played on. For example, in this chord chart, we’re playing on the second fret because the numbers are lined up across the number 2. This chart means you have to hold down the second fret of the D string, the second fret of the G string, and the second fret of the B string. Got it so far? The numbers in the red circle within the chart represent which fingers you should be using to hold down that specific fret. There is a number 1 on the second fret of the D string. 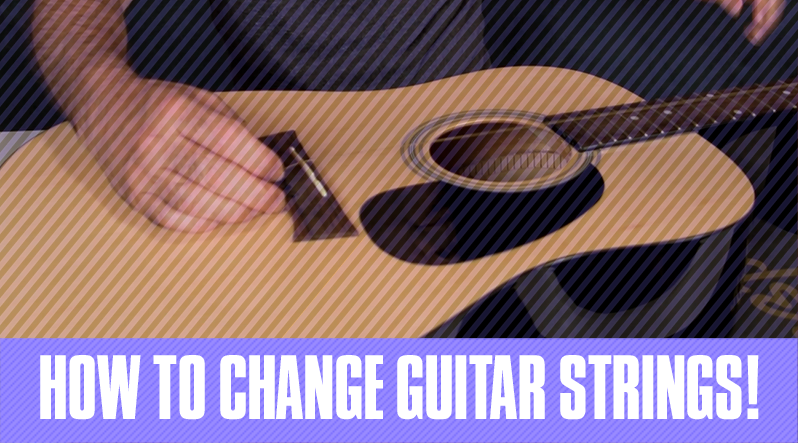 This means you use your first finger to hold down the second fret of the D string. So how do you know which finger is the first finger? Each finger is numbered, 1 through 4. The first finger is your index finger, or the finger you use to point at things. Your second finger is your middle finger. Your third finger is your ring finger. Your fourth finger is your pinky. Let’s put this to practice. For the chord chart above, the red circled number 1 (your first finger/index finger) is in the horizontal row marked by a 1, which means the first fret. And that same circled number 1 is on the second-most right-hand horizontal line, which is the B string. Putting it all together, this means that you use your first finger, and place it on the first fret of the B string. Referencing that same chord chart, you will put your second finger on the second fret of the D string. For the third note, you use your third finger and place it on the third fret of the A string. Congrats, you just read and played a Cmaj chord using a chord chart! If you haven’t already, make sure to sign up for Full Access because Lisa will also show you how to read a chord diagram. If you have any questions, feel free to leave a comment below or leave a question on the forum.